Since April 8th BBB has been in Morocco competing in the Marathon Des Sables, a 255km 6 day race across the Sahara Desert. As Ultra races go the Marathon Des Sables has a fearsome reputation as the toughest foot race on earth, a reputation so notorious that nearly everyone you meet has a story of hardship to tell. Stories not of myth and legend, but rather real life accounts of blood, sweat, tears, triumph and failure. Our story proved to be no different and with severe dehydration leaving us stranded 15km into the first day, the Marathon Des Sables had us on the ropes before we could even say bucket and spade! Logan Takahashi is not an artist we have featured on BBB before, but like any artist who’s music catches our attention we’re equally as enthusiastic to present their music regardless of renowned fame or relative obscurity. Those of you in the know will be aware that Logan is one half of Teengirl Fantasy, a duo known for their accessible and glistening beats. Hailing from NYC you could perhaps consider them a slightly less virtuoso US equivalent to Australia’s Flume. 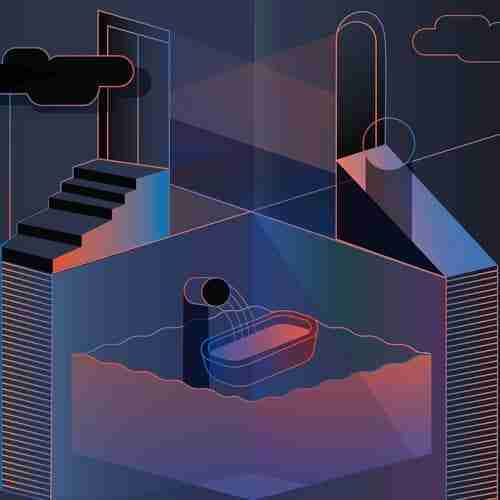 Like Flume Teengirl Fantasy skillfully tread the delicate line between pop banality and underground creativity, naturally they occasionally drop the ball, but on the whole their music successfully blends melody with credibility. That being said Teengirl Fantasy’s music is not for the more alternative among you, and perhaps like a quirky sub-label this solo outing is Logan’s opportunity to express himself more freely. Alternatively he may have also realised that calling yourself Teengirl Fantasy might not be such a good look as the years advance? Whatever the reason this new more alternative direction is a welcome diversion from his more typical pop leanings and therefore if your tastes generally lean more towards the likes of Space Dimension Controller, Throwing Snow, Ametsub, and Mark Pritchard then this is for you.